Here is my telephoto image event. Taken at 200mm on the Nikon D850 with a bit of a crop, single exposure for this photo. I was really impressed with the detail captured here. 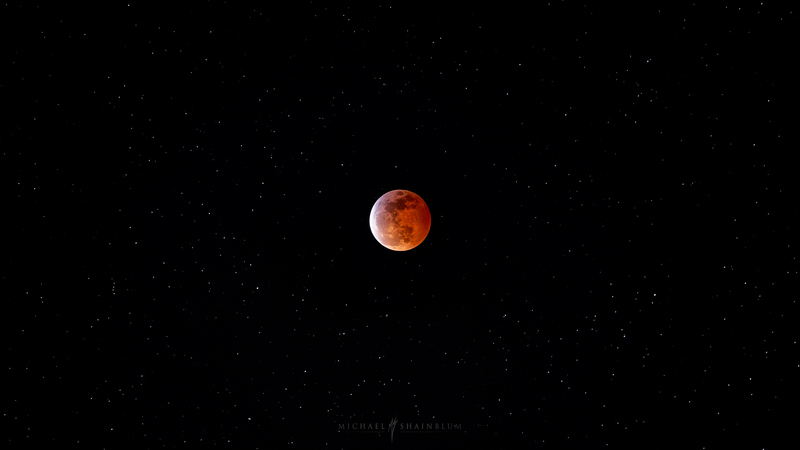 This image was taken during a short period in between two large storm clouds passing. 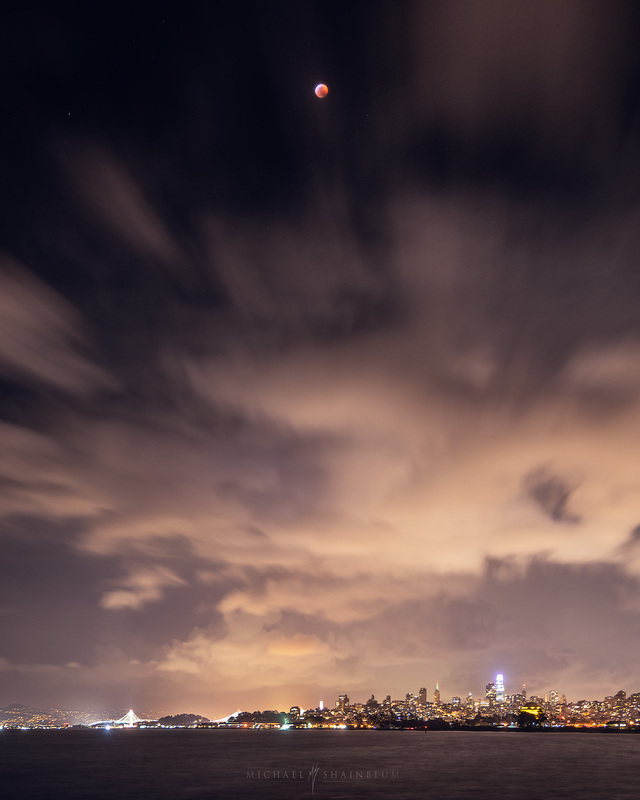 San Francisco Eclipse 2019 California. Here is a wide angle image from the event, shortly before this image was taken it was pouring rain. It seemed almost hopeless for most of the day that the clouds would clear up. Just another example of how sticking it out and not giving up can really help you get the shot. I was pretty close to heading home and grabbing a cup of tea during this one. The clouds actually parted during totality, to give a nice short window to shoot these photographs. It is hard to create images of the eclipse that really do justice to the experience. If you have not gotten out to see this for yourself, I highly recommend it, with or without the camera. Thank you so much for checking out my images! I also have some images from the 2018 San Francisco Eclipse, CLICK HERE to check those out as well. Incredible photos as usual man! Knew you’d take some good shots of this lunar eclipse. Glad the weather worked out for you. Great shot Michael! It was cloudy in Reno and I missed it.